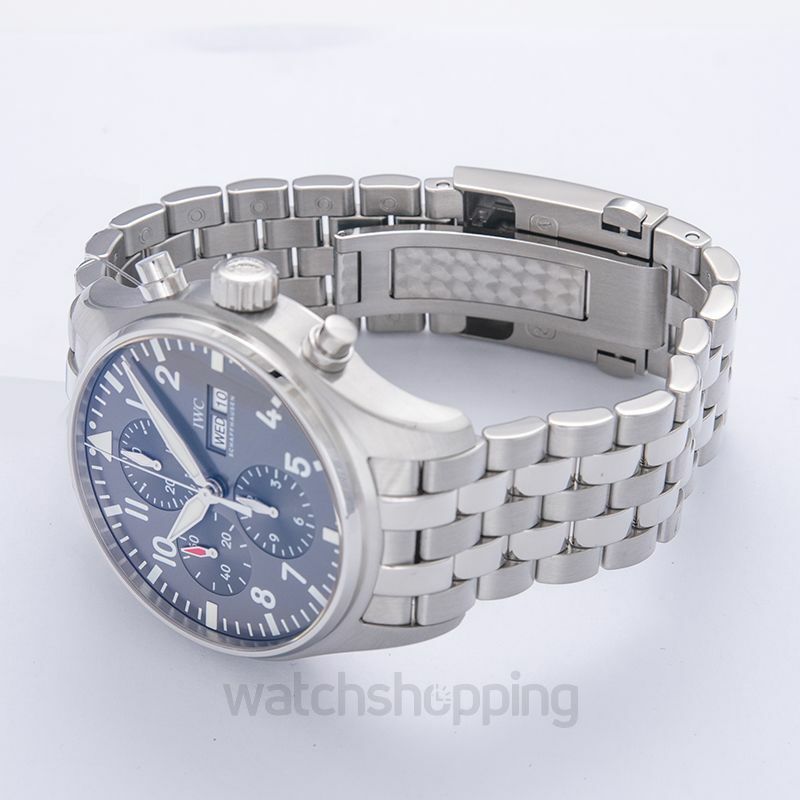 The sturdy looking IWC Pilot’s wrist watch is drowned in silver. The main dial houses three sub dials on the left side. A division of aperture just beside 3 o’ clock helps keep track of the day of the week and date of the month. 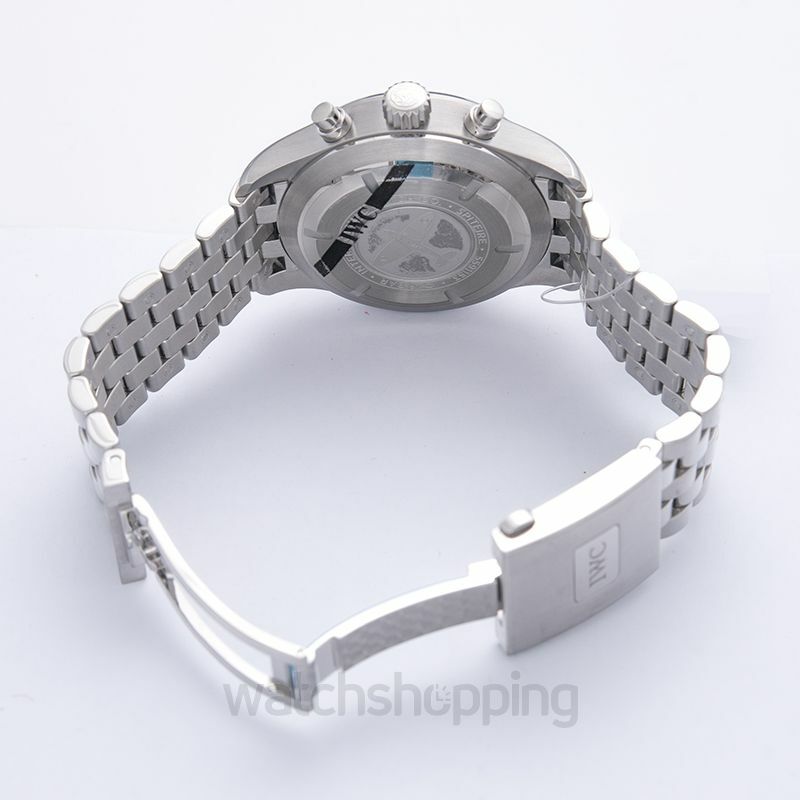 With three screw down crowns, the dial completes the full circle with the help of a silver bracelet. 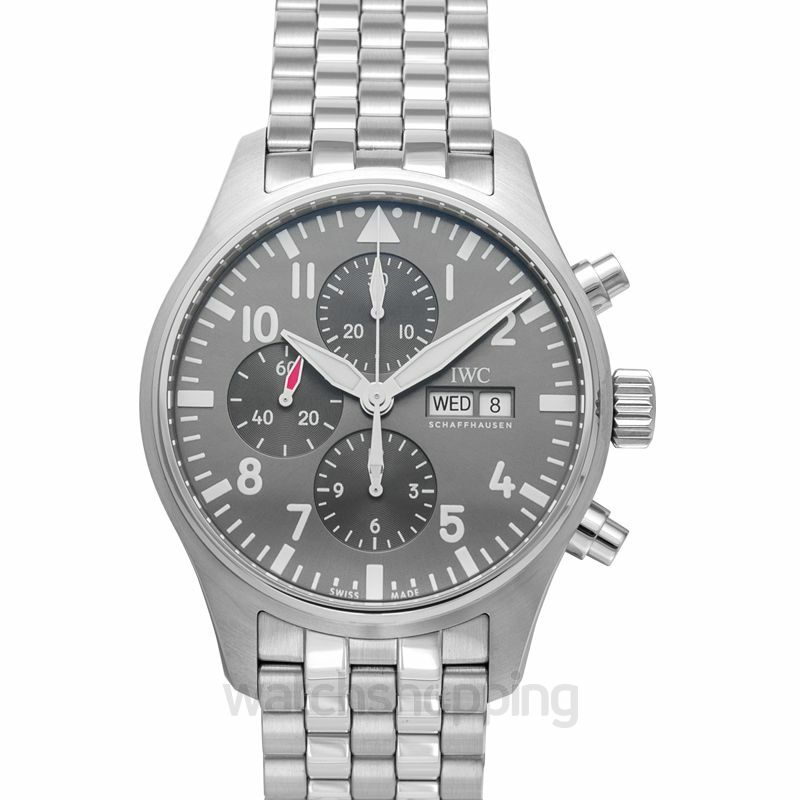 IWC Pilot’s wrist watch looks like the watches which will survive the test of time. 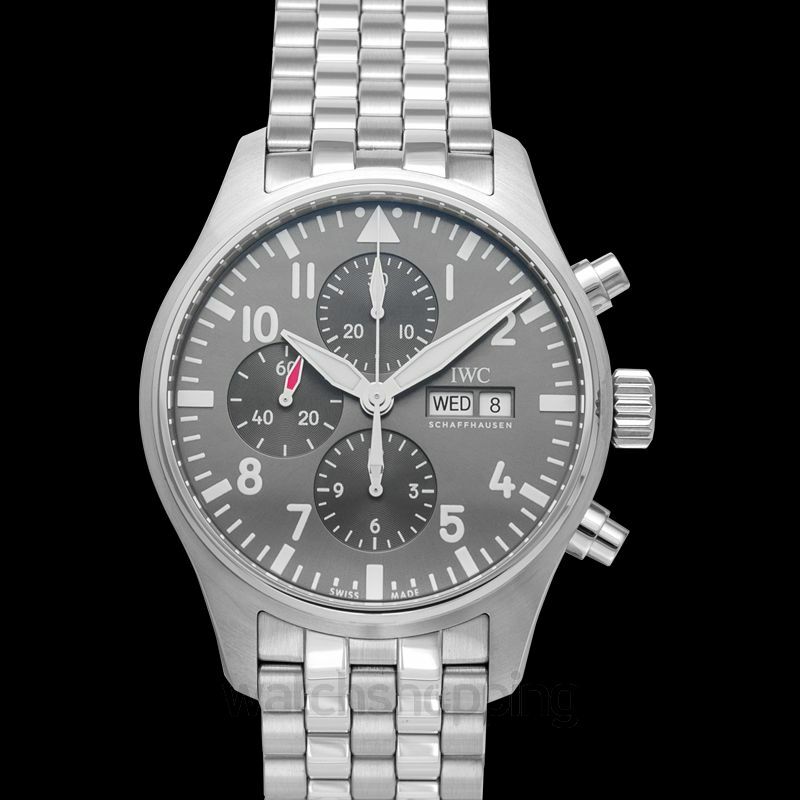 With the power reserve of forty-four hours, the dial remains protected by sapphire crystal glass.